I love the Sherwin Williams 40% off sales! If you have any painting projects that you’ve been wanting to do, today is a great day to get started! 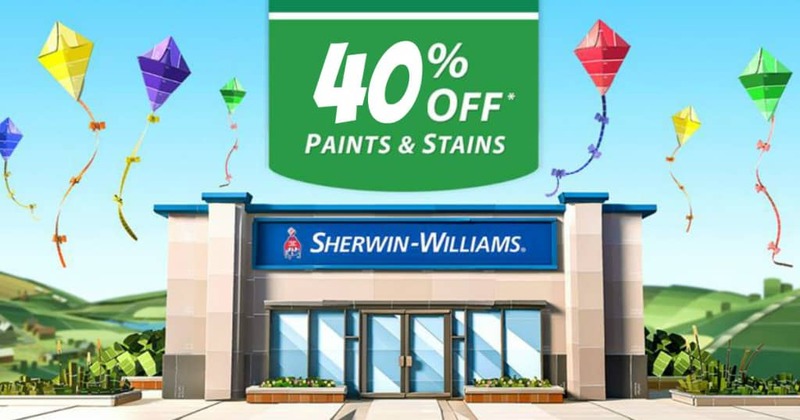 Sherwin Williams is offering 40% off all paints and stains, 30% Off Painting Supplies & an Additional 25% Off Custom-Order Wallpaper now through September 24th. Go here to sign up for Paint Perks email and you’ll receive a $10 off coupon that you can use during the sale to save even more. 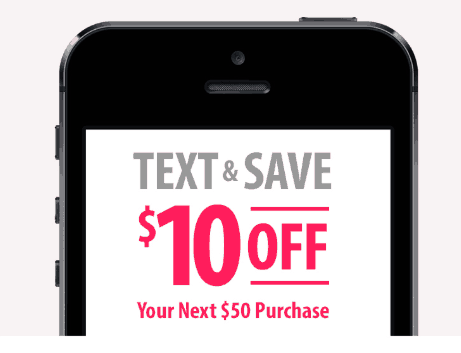 Lastly, sign up for Sherwin-Williams Color2U Mobile Alerts by texting COLOR to 27579 and you’ll get a $10 off your next purchase of $50 or more coupon when you respond with consent to receive text messages from Sherwin Williams. Have you checked out the online color chart to find the color that is right for your project yet?